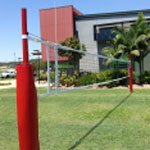 HiTech Sports can provide volleyball specific posts from FIVB approved systems to standard steel systems suitable for schools and clubs. 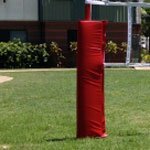 HiTech Sports recommend using Multi-Sport Posts. 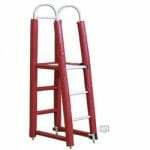 They are more versatile as the net can be adjusted from senior men’s volleyball height right down through the scale to tennis net height. 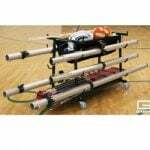 Instead of having a different post system for volleyball, badminton, Newcombe ball and tennis among a few, you can use the same pair of Multi-Sport posts for all of these games and more. VBSTADIA is our most popular and premium system. Tee base option as last resort if sleeves cannot be installed due to fire floors etc. For more information click here or view our video (right). The SKYMASTER is the most premium volleyball system, a roof mounted overhead supported volleyball system. This is the ultimate system. When setup is instantly ready by the turn of a key. Like the basketball structures, the volleyball posts, nets, pads and even the umpire stand is connected to the roof and lowered when required and instantly ready for play. All the other options like height adjustment, net tensioning is like the sleeved version but in this case, nothing touches the floor. 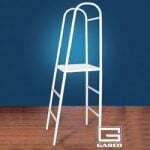 This is the most innovative system available. OLYMPIC and FIVB APPROVED models such as Senoh are available for top level competition. Intermediate and entry level competition posts, pads, stands and nets available on request. 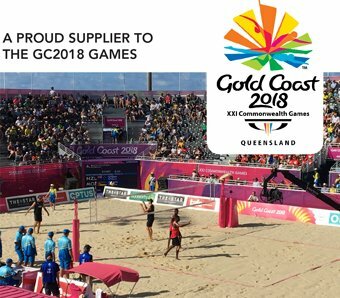 Equipment for indoor volleyball and outdoor beach competitions such as HiTech Sports supplied for the 2018 Gold Coast Commonwealth Games Beach Volleyball competition. Other Tee Post systems using key hole plate also available. We also supply nets, post padding, scoreboards and sports surfaces. VBNC Competition volleyball net. Competition net with steel cable, edged on all sides. VBANT Volleyball net antennae with pocket. PPVB Pad to suit aluminium multisport post.1800mm high. 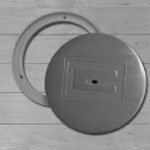 ACP-200 Access cover plate for indoor floors. 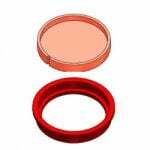 Steel with 200mm diameter. Chrome finish. Swivel reveal.